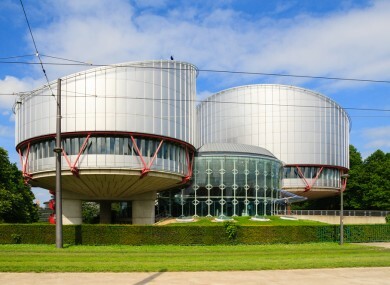 A Latvian woman has won her case for inhuman treatment at the European Court of Human Rights after the procedure was carried out on her husband. A WOMAN HAS won her case against Latvia for inhuman treatment after tissue from the body of her deceased husband was used to create bio-implants — without her knowledge. An investigation in 2008 into the removal of tissues and organs at morgues found this procedure had been carried out on almost 500 bodies. “In exchange for the supply of tissue to the company in Germany, the Forensic Centre had organised the purchase of different medical equipment, instruments, technology and computers for medical institutions in Latvia,” a ruling from the European Court of Human Rights (ECtHR) read. Dzintra Elberte’s husband was killed in a car crash in 2001, and during the course of an autopsy tissue was removed from his body in a State-approved agreement. Elberte discovered this two years later. Following the 2008 investigation, Lativan law was changed, allowing for relatives to object to the removal of the deceased person’s organs and tissue. There was no legal obligation to inform relatives of this procedure – a system of presumed consent. The ECtHR ruled there had been a violation of the right for respect to private and family life. The verdict on inhuman treatment found that many international guidelines on transplant procedures were designed to ”protect the dignity, identity and integrity of ‘everyone’ who had been born, whether now living or dead”. “The Court stressed that respect for human dignity formed part of the very essence of the European Convention. Consequently, the suffering caused to Ms Elberte had undoubtedly amounted to degrading treatment contrary to Article 3 of the Convention,” it read. She was awarded the sum of €16,000, and €500 for costs and expenses. Email “Tissue from car crash victim used without consent to create implants”. Feedback on “Tissue from car crash victim used without consent to create implants”.